Maker Park is a vision for an adaptive reuse park along the Williamsburg waterfront that captures the creative ethos of the neighborhood around it—and reflects its rich history by breathing new life into the site’s industrial fabric. The idea springs from an awareness that both our waterfront heritage and the local creative community is being wiped away at alarming speed. Maker Park is poised to achieve the acute community need for green open space while also serving as a dynamic, interactive, and educational public park that speaks to Brooklyn’s past, present, and future. 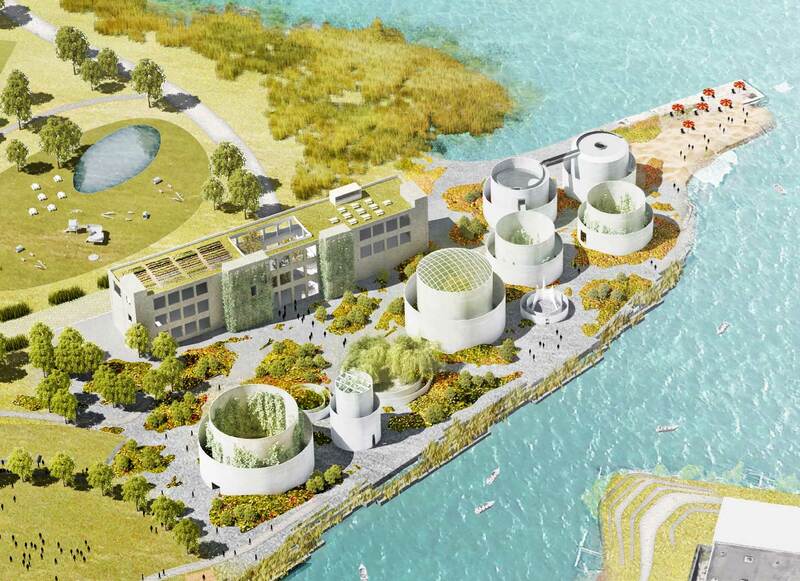 The site for Maker Park is a seven-acre waterfront parcel that served as the historical home of one of Brooklyn’s most important industrial enterprises: Astral Oil Works, founded by businessman and philanthropist Charles Pratt. 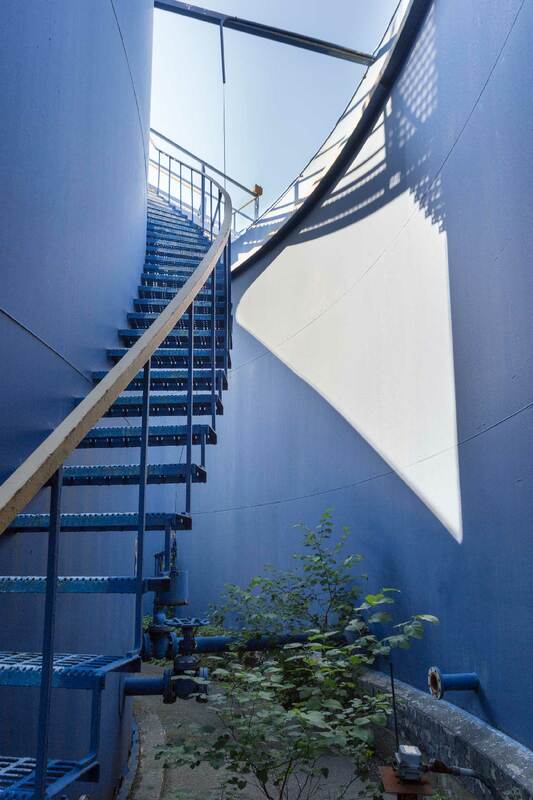 After decades of industrial decline, the site—which came to be known as the Bayside Fuel Terminal—became a hub for hundreds of artists, makers, and entrepreneurs, sitting at the very heart of Williamsburg’s thriving creative scene. Besides its cultural and historical significance, the Bayside lot is overflowing with architectural character, including a three-story brick building with soaring ceilings and factory windows, and a series of 50-foot tall cylindrical, decommissioned fuel containers that rise from the ground to create a beautiful and other-worldly industrial topography. 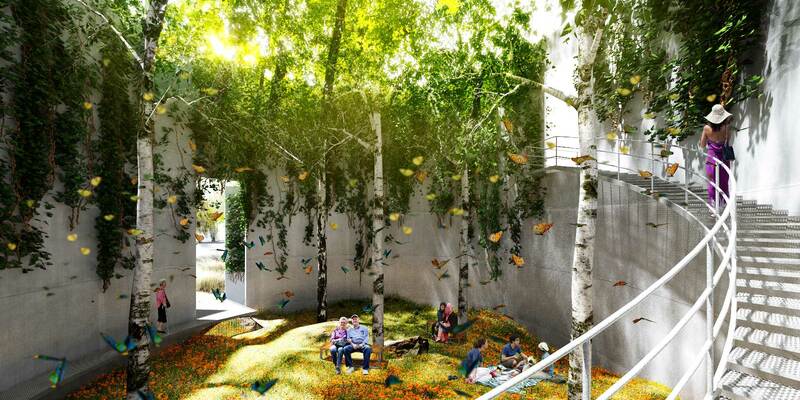 Rather than demolishing these structures, Maker Park recognizes the potential to re-imagine them as a habitable eco-system, satisfying the need for green space while also creating a new kind of commons uniquely of and for Williamsburg. These fossils of Brooklyn’s bygone industrial era could be integrated into the landscape of the park, serving as an important reminder of the waterfront’s complex and layered history. 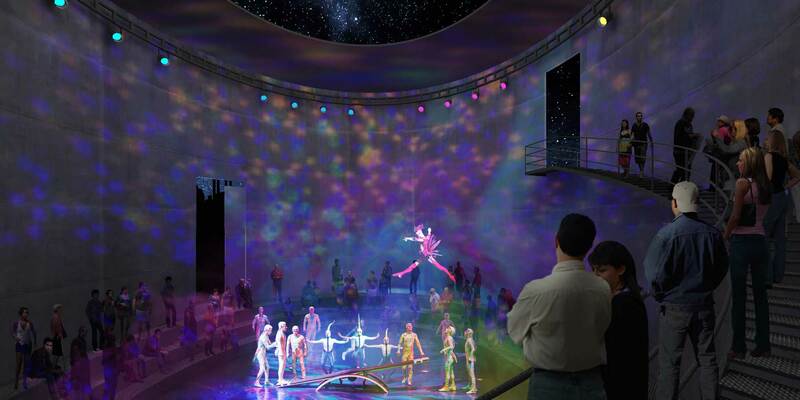 Activated for contemporary uses, the tanks could turn into viewing platforms, performances spaces, rotating sound and art exhibitions, and greenhouses. The building could be adaptively reused for community uses, as well as a community-accessible maker space that helps to expand the definition of recreation beyond traditional uses, while also reflecting the current culture of collaboration and making so central to Williamsburg's character. 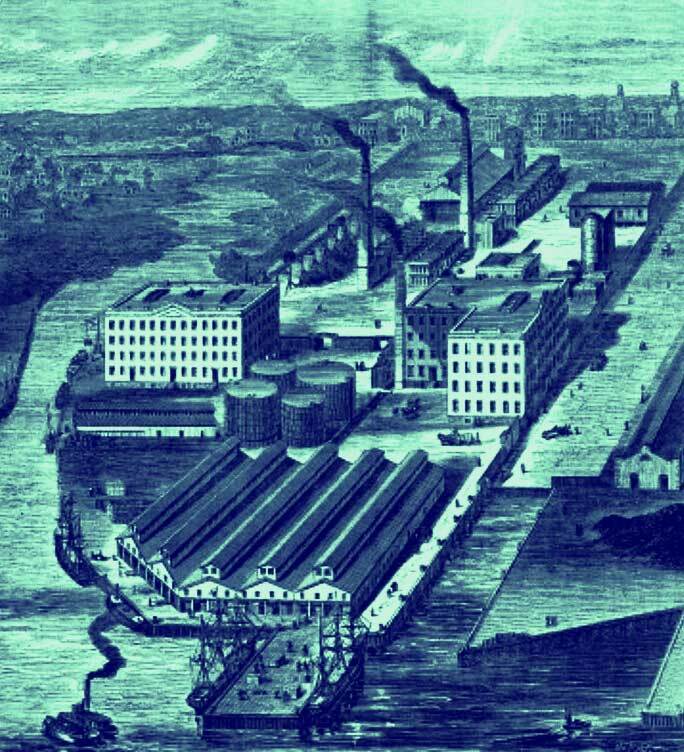 The possibilities are virtually endless, but only if we embrace the rich industrial legacy that’s been left to us. arrow-down copy 2 Created with Sketch. arrow-down copy 3 Created with Sketch. The vision for Maker Park debuted during a presentation by Stacey Anderson at the annual MAS summit in 2015. 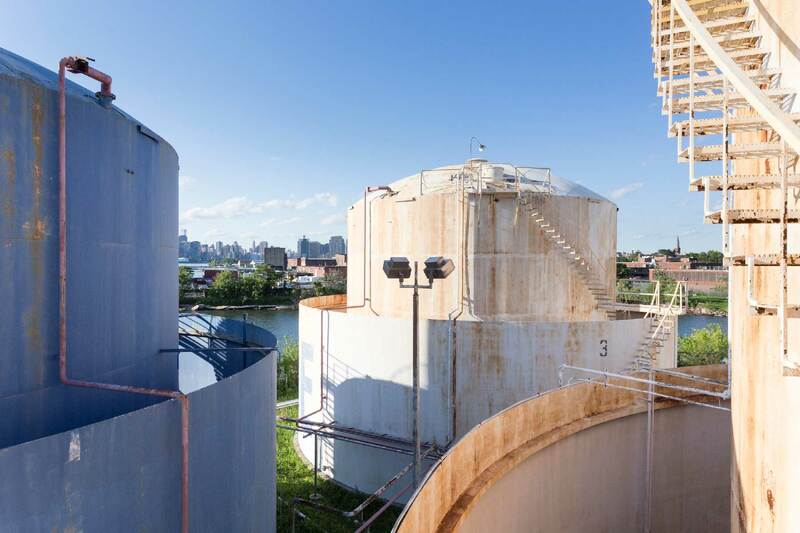 At the height of Brooklyn’s Industrial Revolution, American businessman and petroleum pioneer, Charles Pratt, founds Astral Oil Works on the site of the proposed Maker Park, now known as the Bayside Fuel Terminal. The success of Astral puts Pratt in rival with John D. Rockefeller’s Standard Oil, which eventually absorbs the company. Pratt uses his newfound fortune to found and endow Pratt Institute, a vocational school that seeks to train the emerging industrial workforce. Brooklyn continues to be the epicenter of industrial expansion, until the second half of the century, which is marked by decades of decline. While the refinery remains active, much of the waterfront sits derelict and in decay. Amid dilapidated structures and overgrown pavement, a group of locals reclaim the waterfront as a haven for recreation and self-expression, transforming it into a unique civic space for the neighborhood. The building on the Bayside Fuel Terminal comes to house a creative community of artists and entrepreneurs. Mayor Bloomberg sees incredible potential to capitalize on this underutilized stretch of land and puts forth a Waterfront Rezoning Agreement. 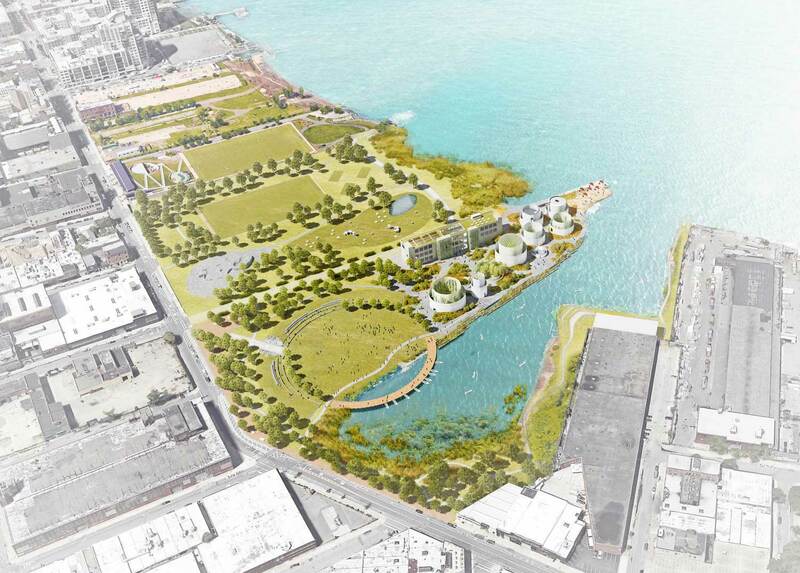 In exchange for allowing new residential development along the water, his administration promises the community a 28-acre park from North 6th to the Bushwick Inlet, called Bushwick Inlet Park. Post-rezoning, the neighborhood sees a surge of new residential development. The National Trust for Historic Preservation sounds the alarm and declares Brooklyn’s industrial waterfront one of America’s 11 most endangered historic places. 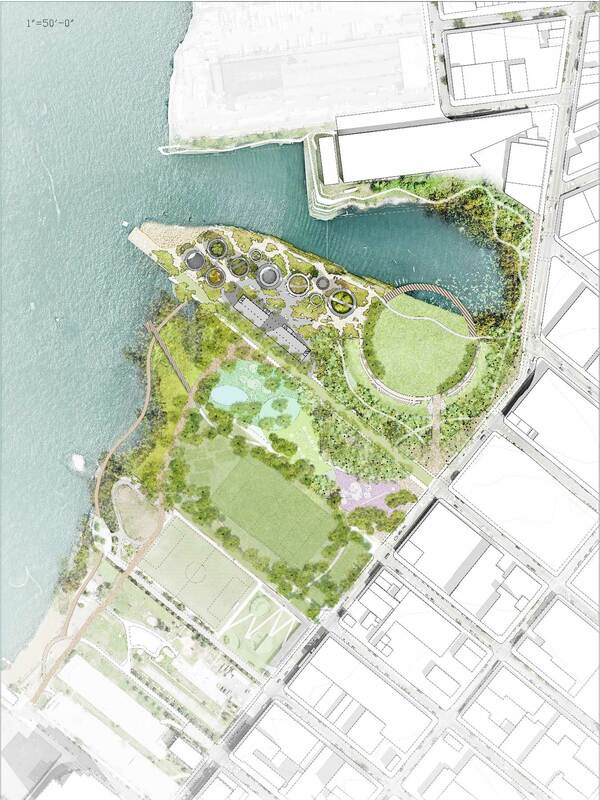 Piecemeal acquisition of waterfront property results in the first completed phase of Bushwick Inlet Park, a multipurpose athletic field stretching between N 9th and N 10th. Much of the promised park however remains derelict, while property values continue to rise in the face of Williamsburg's newfound popularity. 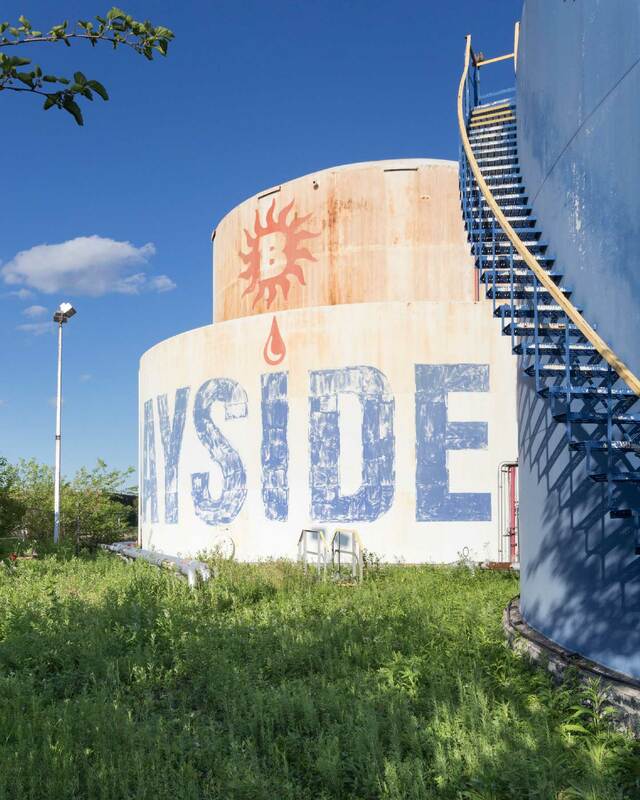 The City moves to complete the purchase of the Bayside Fuel Terminal, a parcel of the promised park which results in eviction notices to tenants on site. 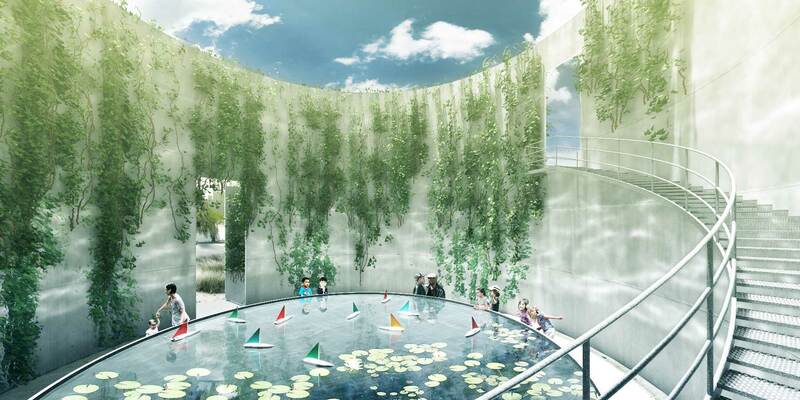 Zac Waldman, an occupant of the building for nearly a decade, while attempting to preserve the creative community existing in the building, starts to explore the site and tanks and begins to envision an alternate concept for the eventual park. An 11 acre site owned by businessman Norm Brodsky is the last puzzle piece needed to complete park. A massive 6-alarm fire breaks out in a warehouse on the site, re-igniting heated debate around the City's unfulfilled promise. With local park advocates like Friends of Bushwick Inlet Park leading the charge, the community urges follow-through on a Community Benefit agreement made a decade prior. At an eviction party for the building Zac is introduced to Stacey Anderson, a director at MAS, who after touring the site truly understands the potential and agrees to help with the nascent project. Two weeks later while co-leading a tour of the neighborhood in commemoration of Jane Jacobs, Stacey introduces Zac to fellow urbanist Karen Zabarsky and the Maker Park founding team is complete. The group begins uncovering the site’s history—and its incredible connection to Pratt Institute—researching its environmental status, reaching out to local stakeholders, and seeking council from experts. 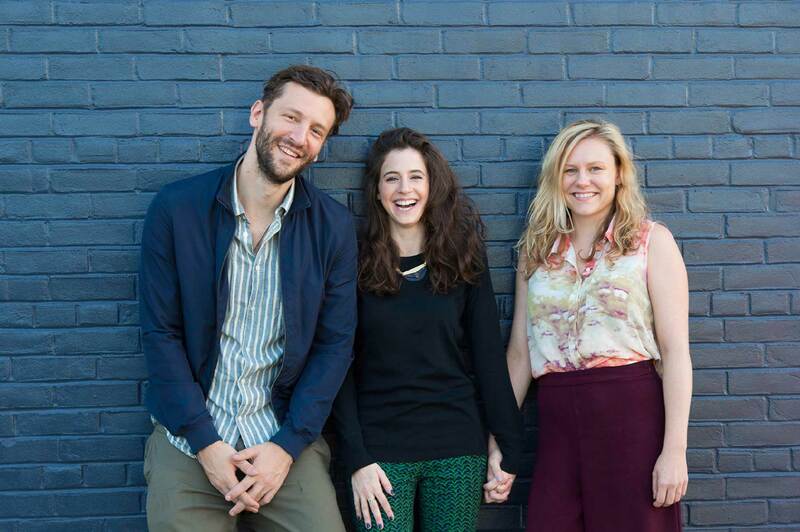 Seeing great potential in the vision, a dream team of professionals sign on to lend their expertise pro-bono to the project, spearheaded by Studio V Architecture. 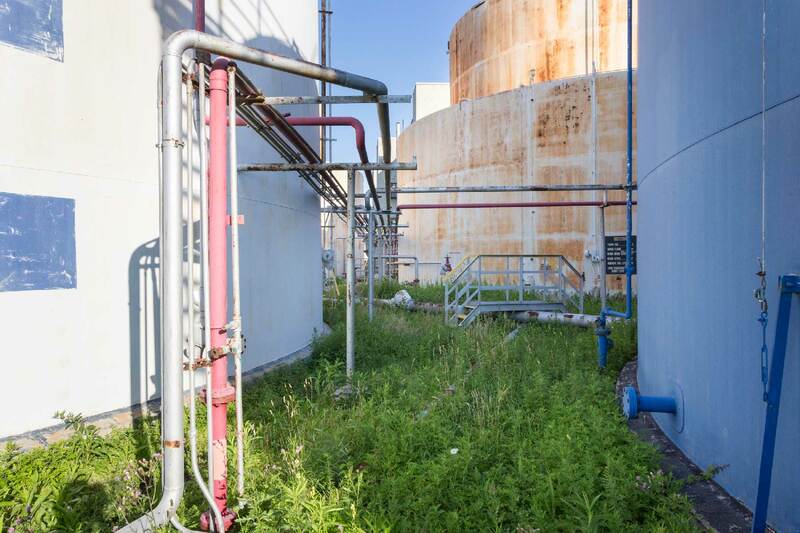 Alongside this outreach, the team investigates the feasibility of remediating the sites with structures in place, given its complicated environmental status as a former refinery. After months of tense negotiations, the City finally reaches a $160 million deal to purchase the final parcel of waterfront property, an outstanding victory for the community. With the contiguous 28 acre stretch of land now in the City’s possession, our team seeks to examine the site as it currently exists and ask what would make for a truly 21st century park, uniquely of and for Brooklyn? Be a maker. Sign up now to get updates on events and other important Maker Park news. Thanks for signing up! Keep an eye out for news and updates.